Yes, you read that right. This year, you don’t have just the IPL season to don your yellow fever. You can now stay connected with CSK all through the year with these newly launched CSK goodies. Read on and keep roaring! Designed by Sonata, you can now show your love for the roaring lions with wrist watches from the brand. Starting INR 700, these come with leather straps as well as rubber straps in a range of colours. Sonata has also launched fitness bands in the team’s signature yellow and blue colour which are priced at INR 1100. Forget jerseys. You can now sport CSK T-shirts and polo shirts in varying prints, thanks to The Souled Store, an online clothing and accessories label. Starting INR 550, these come in sizes up to XXL in collared as well as round neck patterns. Know a die-hard CSK fan? Make their day with quirky gifts from Oye Happy, an online gift store. You can choose from an array of CSK-themed options here like placards, badges, mosaic frames, mirrors, posters, digital frames, starting INR 250. 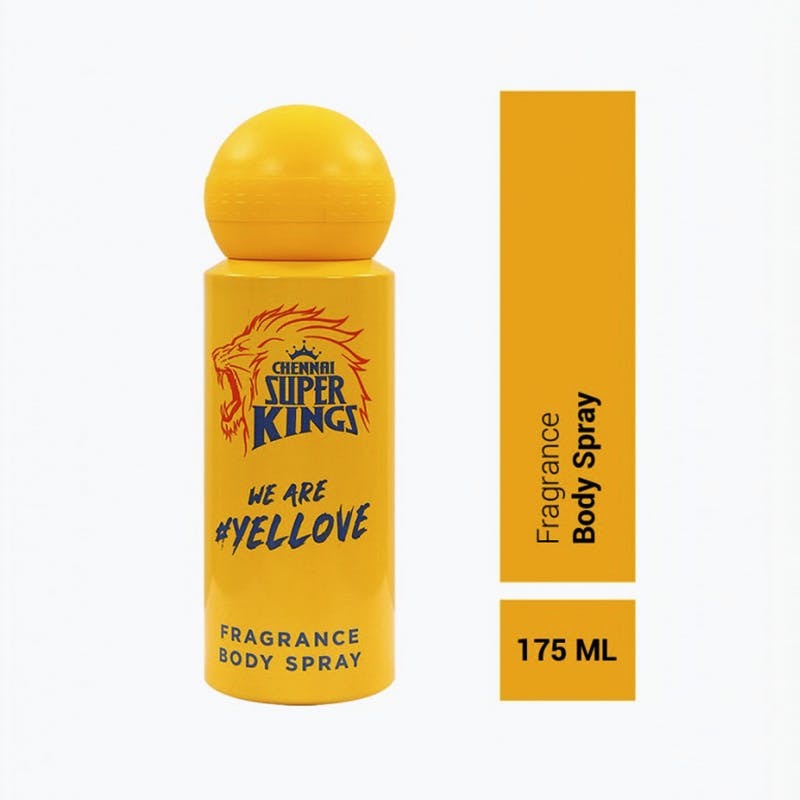 Launched by Xavier Laurent, you can now buy official CSK pocket perfumes and body sprays that come in a quirky packaging. Price for body spray is INR 225. Love gadget accessories? You can buy a bunch of CSK-themed accessories from Cover It Up. Phone cases, laptop sleeves, stickers, and even notebooks - they have it all. Have Dhoni, Bravo, Jadeja, and Raina all the time with you with figurines from Lilliput. Starting INR 1050, you can gift these to others or deck up your room or office desk with them. Incorporate yellow fever into your gym game or work gear with CSK-themed bottles from Atlasware. Starting from about INR 400, these come in 500 ml and 1000 ml storage capacity in white and yellow. Yes. You can now buy CSK-themed games from Kaadoo. Available in varieties like playing cards, dartboards, puzzles and more, these start from INR 200 and can make for perfect gifts for kids.